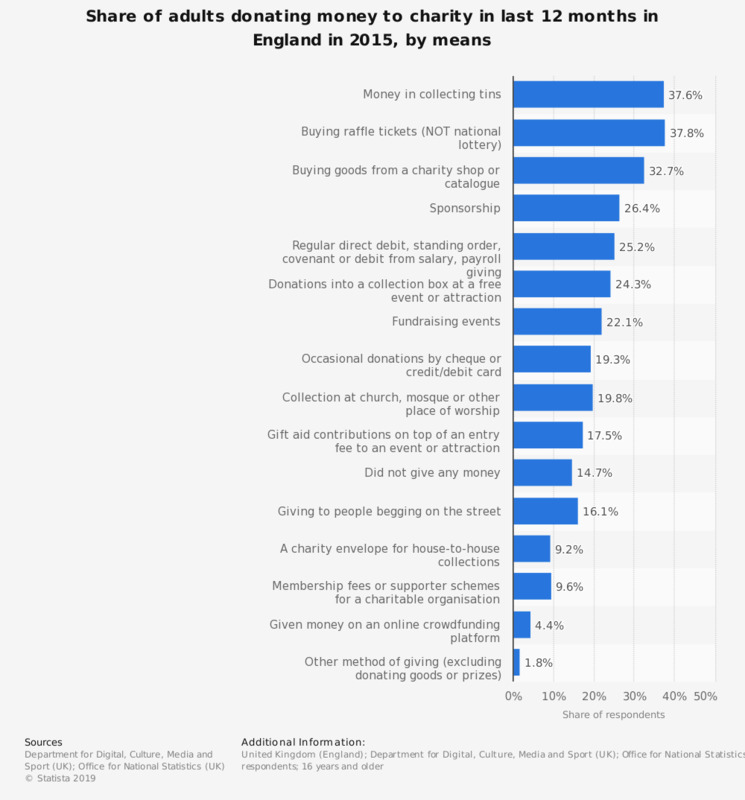 This statistic presents the means through which adults donated money to charitable causes in the last year in England as of 2015. Of respondents, 38.2 percent said they had donated money via collecting tins including those delivered door-to-door and placed in the street, a pub, at work, on a shop counter or other location. Trends in percentage of donors giving online in the U.S.